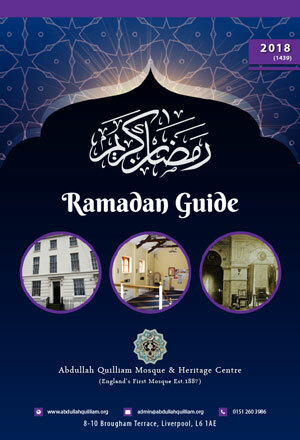 This year we are celebrating the fifth Ramadan after the re-opening of the historic Quilliam Mosque. 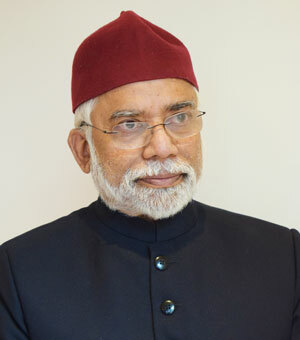 Recently, due to the work carried out in the restoration of the Mosque, The Secretary of State for Culture, Media and Sport, has upgraded the status of our unique building to Grade II*, in recognition of the valuable work we as Muslims have done in this country. In our endeavours to preserve the literary legacy of Sheikh Abdullah Quilliam, we have digitised The Crescent, The Islamic World and several Quilliam books on our website through permission from the British Library. This year we are eagerly looking forward to Ramadan and we will endeavour to make this Ramadan a memorable occasion for all Muslims and wider society. Our local Sheikh Sadek Kassim and Sheikh Waddah Saleh will lead Tarawih and Tahajjud prayers. We will also be delivering a comprehensive programme from Asr to Fajar every day throughout Ramadan which will be further enhanced by additional special events for children, women, new Muslims and the regular congregation. We will also reach out to non-Muslims across Liverpool through our popular Big Iftar event. We hope you will help us to spread the word and invite any non-Muslim friends or colleagues to participate. Announcement of the date will be made on our Facebook page closer to the time. We will also be continuing our ongoing food bank partnership with the football supporters groups of Liverpool FC and Everton FC. This year, in association with Liverpool City Council, AQS is exploring the feasibility of expanding our centre and developing The Quilliam Village as a new gateway of Islamic Contributions to the City. We invite you to become a part of this exciting project to open more links between Muslims and the wider community. Please continue to support England’s First Mosque and help us restore it as an investment in your reward in the hereafter. May Allah (SWT) accept all our prayers, fasts and good deeds. Ameen.